Something More Pressing To Do! All the fruit, none of the waste. 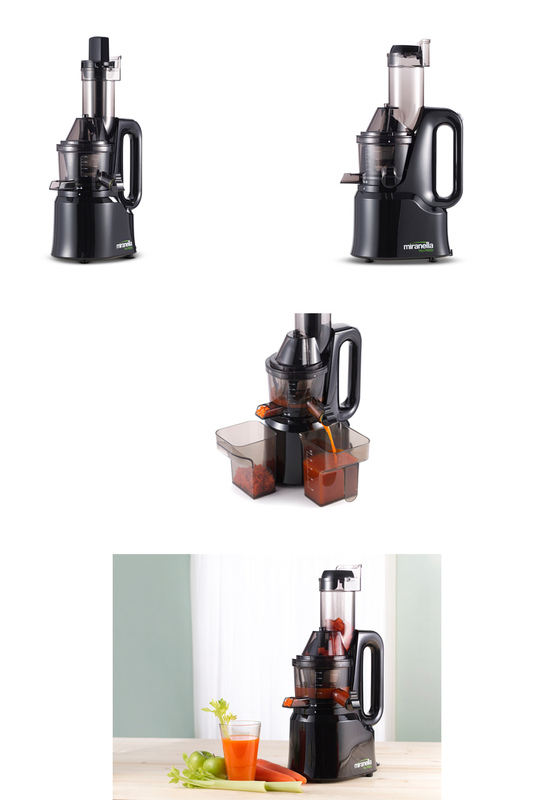 Our dual-stage juicer makes all the difference. The first press slowly masticates, pressing out juice. The second press then squeezes the pulp for every last drop of goodness! So you enjoy 75% more juice and nutrients than any other slow juicer. The cold-press advantage. The average home or commercial juicer forces ingredients through a high-speed blade, blasting it with air and heat – this speeds up oxidation and destroys nutrients. Our low RPM grinder breaks down fibers gently, so your juice stays nutrient dense – and tastes divine. What’s more, it costs a fraction of your fancy store-bought cold pressed juice. Get that glow, do wonders for your waistline. Start your day with a toxin ridding potion of strawberry, lemon and ginger. Power up before a workout with almond milk, a dash of dates, raw cacao and sea salt. Your body will thank you as you replenish your vitamin and nutrient stores throughout the day. Easy to use and clean, zero additives. A large cap feeding inlet cuts down on prep time, so all you need to do is roughly chop up some fruit or veg and give it a short whiz. Then it’s time to sit back and enjoy a glass of the freshest and most nutrient-dense juice you’ve ever sipped. Sure beats sugar-spiked, additive-laced packaged juice. Manage your sugar-levels and fight cell damage. Vegetable juices – carrot, bitter gourd, broccoli and beets – are rich in phytochemicals and antioxidants; a smart choice if you’re doing your best to manage blood sugar levels or fight ageing. A million fabulous flavors for the making. Kick start your health regime – start small and make it fun. Incredibly tasty, yet incredibly simple – adult or kid, you’ll love the variety. Antioxidant rich, anti-inflammatory raw juices are a fantastic antidote to the toxins of modern life.